Join us February 14, 2019 for The Grand Bargain: What You Need to Know, the next installment in our Awake HR Series. 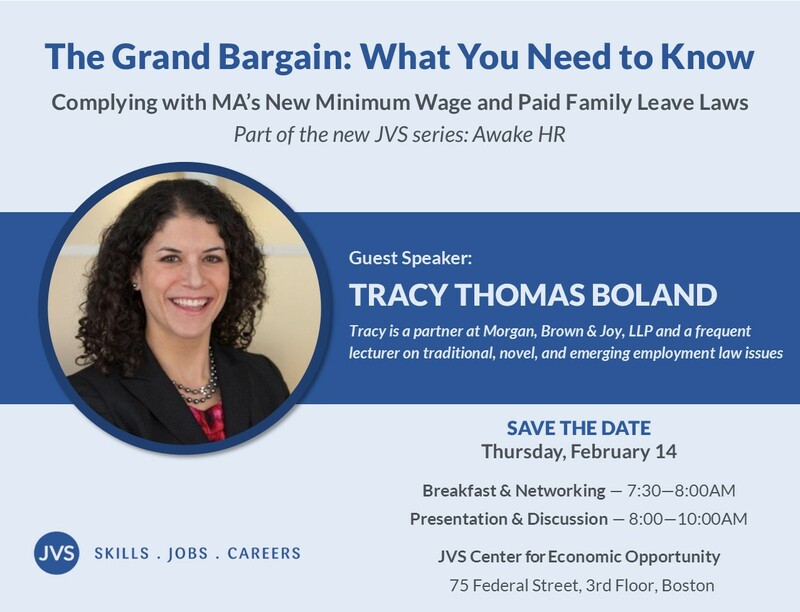 We will be joined by Tracy Thomas Boland for a discussion about complying with Massachusetts new minimum wage and paid family and medical leave laws. Find out what you need to know to prepare for these changes in 2019. We will address the “nuts and bolts” of the new law and we will run through some hypothetical scenarios that show you how this will play out in real life. For more information, please contact Sarah Ruddy at sruddy@jvs-boston.org.